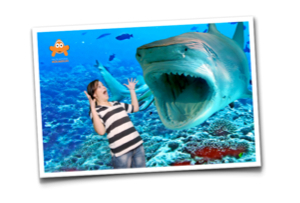 Souvenir Photography has many benefits for any visitor attraction. Theme parks are an obvious choice but there are many other types of attractions that can benefit: Aquariums, Water Parks, Zoos, Animal Parks, Cruise Ships, Football Clubs and Sporting Venues, Christmas Grottos, Events and many more. Green Screen or Chromakey Photography allows for the creation of multiple photos with different backgrounds. A Good Revenue Stream – A good, instant, photographic solution can earn the client substantial sums. We are specialists in ensuring significant revenues can be achieved and we have achieved revenue increases of between 40%-100% over clients’ older systems. 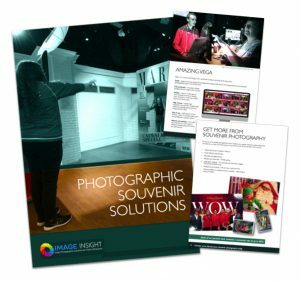 Increased Customer Experience – Visitors love to take away a souvenir photo to remind them of their visit, so sales are easy with our photo solution. Free Marketing – Guests who purchase a photo with a digital download can share their photo and your brand online via social media so that your details get seen by thousands of people for FREE! Data Capture – It is possible to collect guests’ data which can then be used for your own marketing purposes.